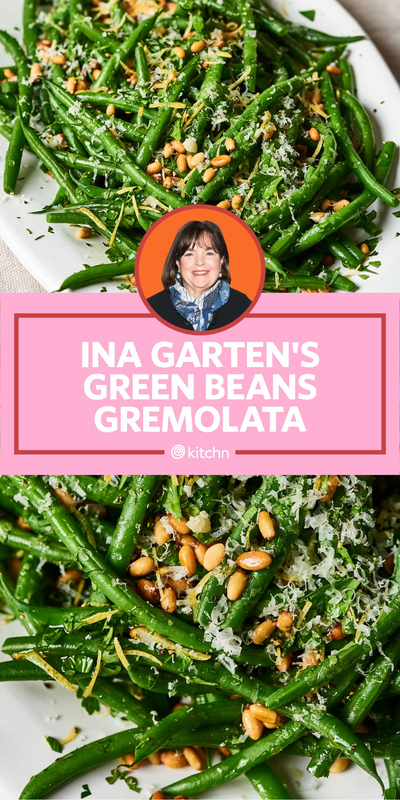 Let me just say this upfront: Ina Garten has never let me down. So when it came time to test some of the most popular Thanksgiving recipes on the internet 鈥� which we鈥檙e doing on Kitchn all month long 鈥� I knew I had to include some Ina recipes in that lineup. First up? Her take on a Thanksgiving day staple: green beans. Ina鈥檚 version is green beans gremolata. That might sound fancy, but gremolata is really just an herb condiment (or, in this case, a topping for the green beans) that鈥檚 made with stuff like lemon zest, parsley, and garlic. Compared to the other famous green bean recipes I tested (here鈥檚 Ree Drummond鈥檚 and Alton Brown鈥檚), Ina鈥檚 version was the fastest to make 鈥� clocking in at only 20 minutes. Still, I was curious: Could it hold its own at the table? And, more importantly, Would Jeffrey approve? Here鈥檚 what I found out. Like most Ina recipes, this one is pretty straightforward. 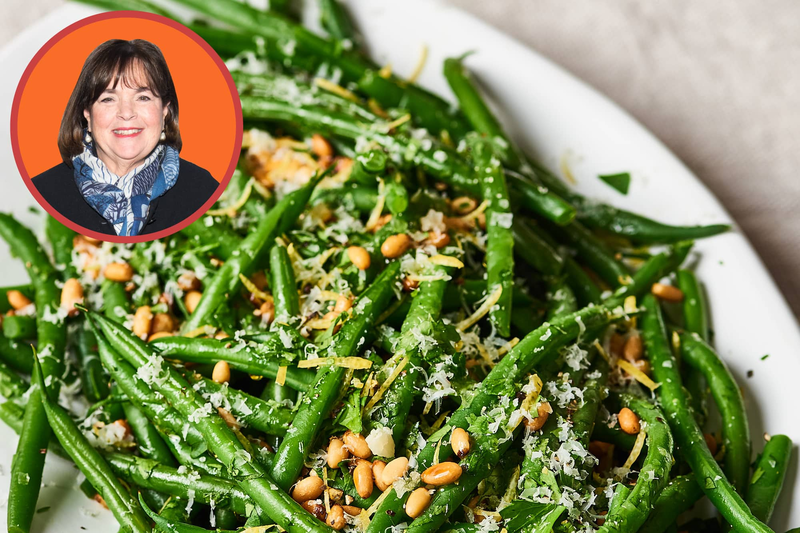 You just boil, blanch, and drain green beans 鈥� then you make the gremolata topping by combining garlic, lemon zest, parsley, grated Parmesan, and toasted pine nuts. After that, it鈥檚 just a matter of assembly. Saut茅 the beans in a bit of olive oil, stir in the gremolata, season with salt and pepper, and serve. As Ina would say: How easy is that? I half expected Ina鈥檚 green beans to be the fussiest of the bunch, but they ended up being the easiest. They also looked the most impressive and tasted the best 鈥� the garlicky gremolata made them downright irresistible. Also, since the gremolata gets tossed in at the very end, it added freshness to the cooked beans; there was a nice pop of bright flavor from the lemon zest and parsley. This sealed the deal for me, because something fresh (to balance out all the other heavy, rich food at the table) is what I look for in a Thanksgiving side. The recipe did require a different few pots and pans since the beans were blanched then saut茅ed, but there are so many make-ahead opportunities here (more on that below), that it didn鈥檛 actually bother me. These green beans also were super quick to make: The recipe noted total time from start to finish as 20 minutes, and it was spot on. Overall, I loved everything about this recipe. 1. You can make pretty much everything ahead of time. The blanched green beans and the gremolata can both be made the day before and stored separately in the fridge. On Thanksgiving, you just need to heat some olive oil in a skillet, saut茅 and warm up the beans, toss them with the gremolata, and serve. It all happens so fast 鈥� you can do this as guests are taking their seats at the table. 2. The pine nuts can easily be substituted. Pine nuts aren鈥檛 cheap. 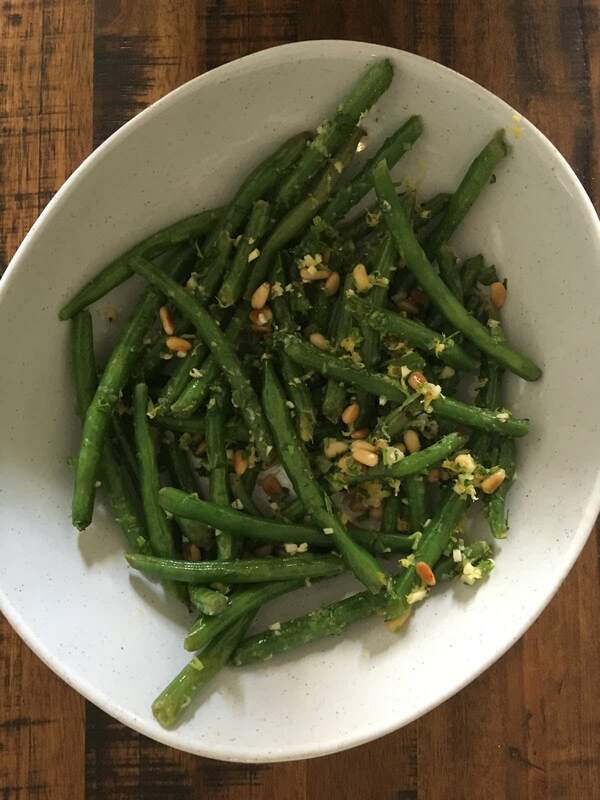 While they鈥檙e great here and add a nice buttery touch, they can definitely be swapped out for sliced or slivered almonds (making the dish reminiscent of green beans almondine). Just be sure to toast them to ensure you get that warm, nutty flavor. Not only do I plan to make these green beans for Thanksgiving, but I also plan to make them again and again all year long. Hail to the queen. Thanksgiving is the ultimate food holiday, and when it comes to stand-out dishes, everyone has their favorites. This year we decided to put some of the internet鈥檚 most popular Thanksgiving recipes 鈥� from Alton Brown, Ina Garten, Martha Stewart, and Ree Drummond 鈥� to the test in our own kitchens.